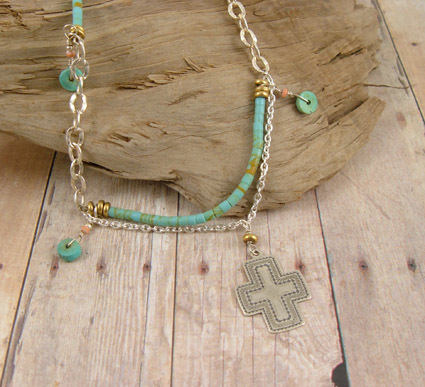 Sterling silver and turquoise, structured necklace. 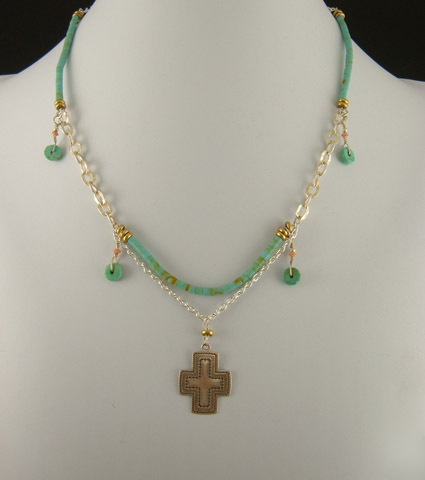 This necklace is made of natural Kingman turquoise, sterling silver, tiny pink coral, and accented with brass. 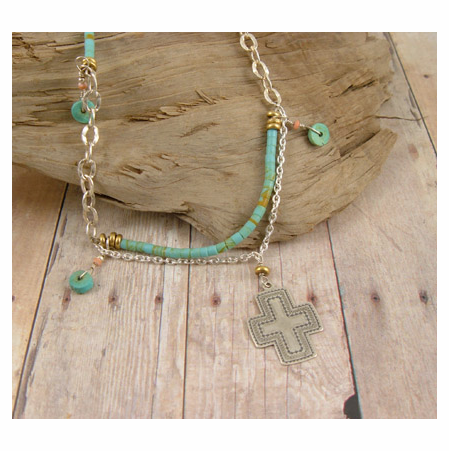 The Sante Fe style silver cross is 1" x 3/4". 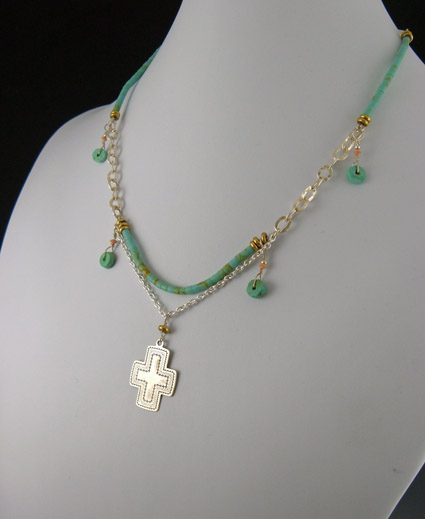 The necklace can be worn from 16" to 20" in length. 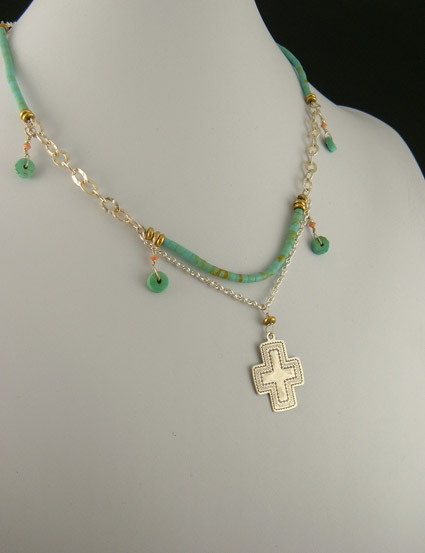 Light on the neck and simply beautiful. 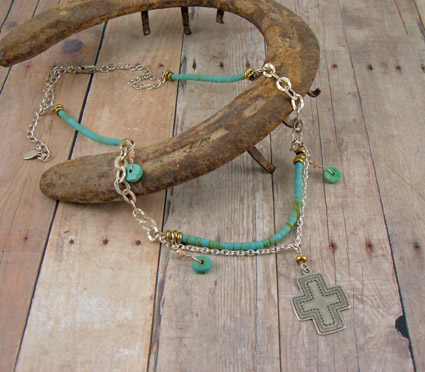 Adjustable in length from 16 to 20"